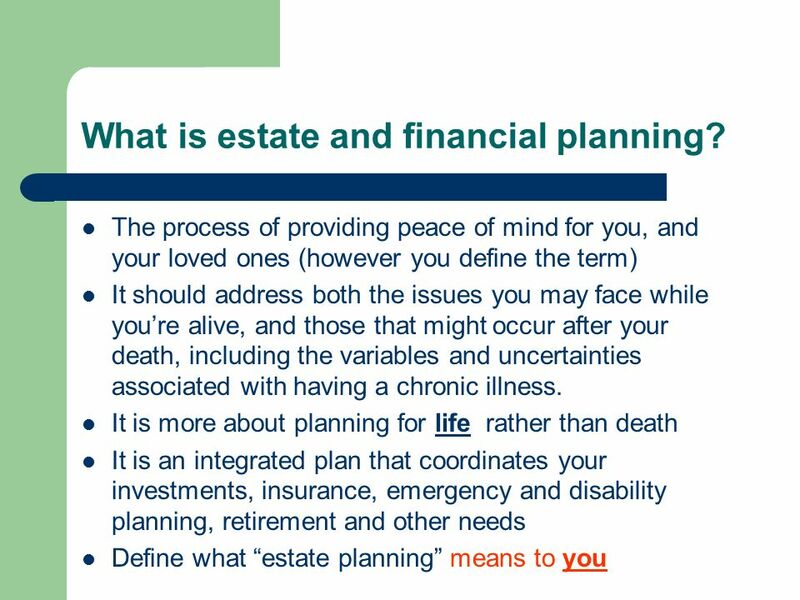 4 What is estate and financial planning? 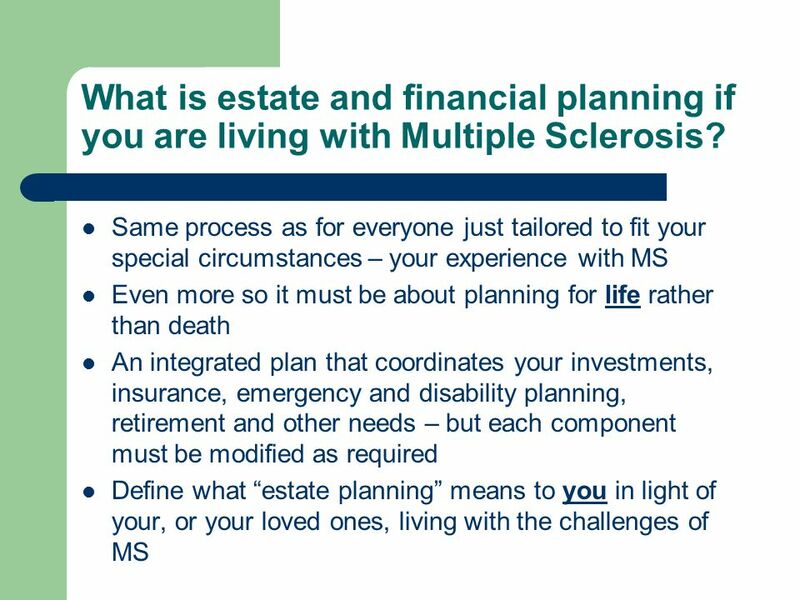 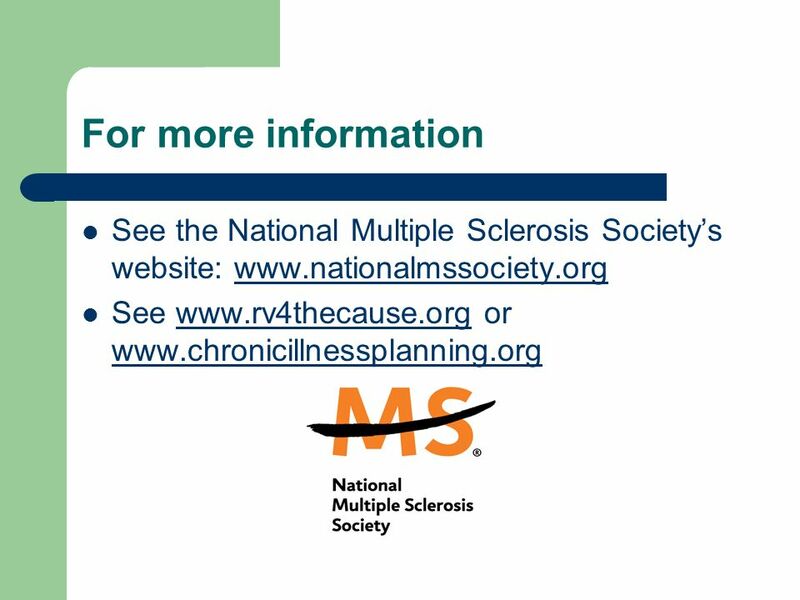 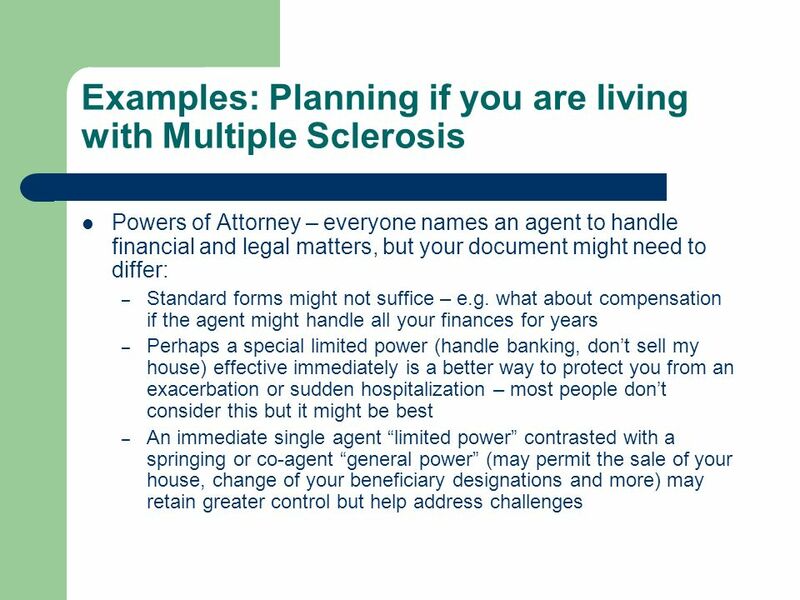 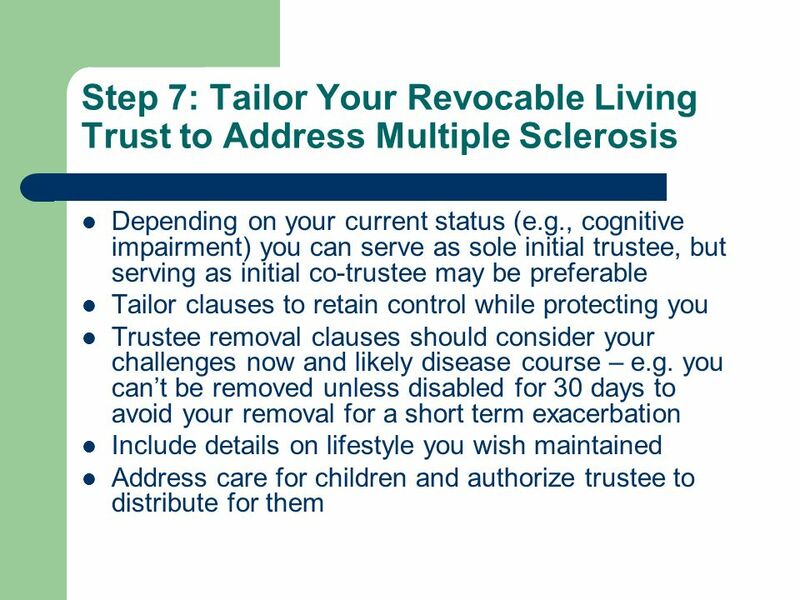 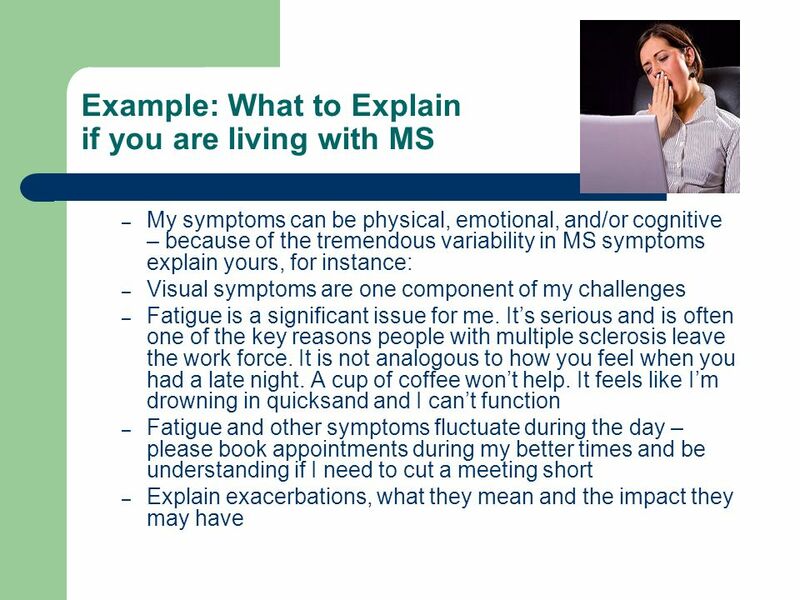 5 What is estate and financial planning if you are living with Multiple Sclerosis? 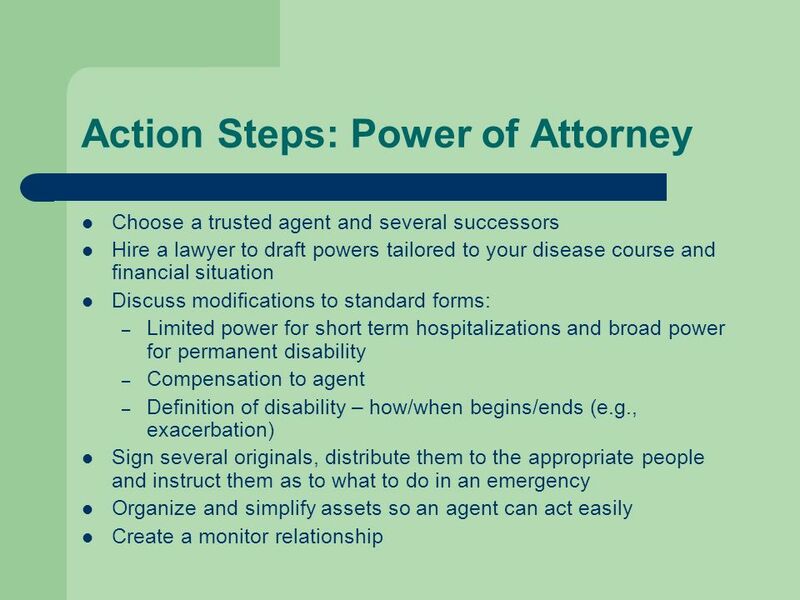 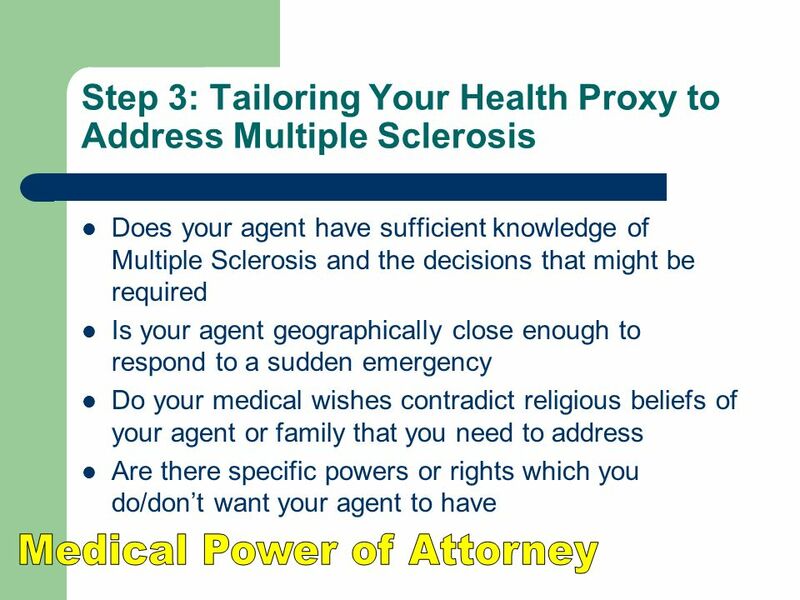 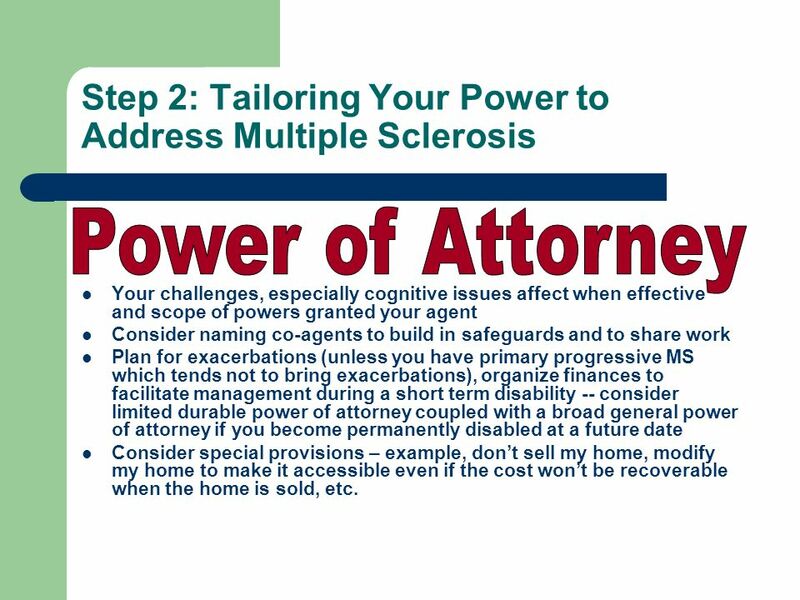 Power of Attorney Your challenges, especially cognitive issues affect when effective and scope of powers granted your agent Consider naming co-agents to build in safeguards and to share work Plan for exacerbations (unless you have primary progressive MS which tends not to bring exacerbations), organize finances to facilitate management during a short term disability -- consider limited durable power of attorney coupled with a broad general power of attorney if you become permanently disabled at a future date Consider special provisions – example, don’t sell my home, modify my home to make it accessible even if the cost won’t be recoverable when the home is sold, etc. 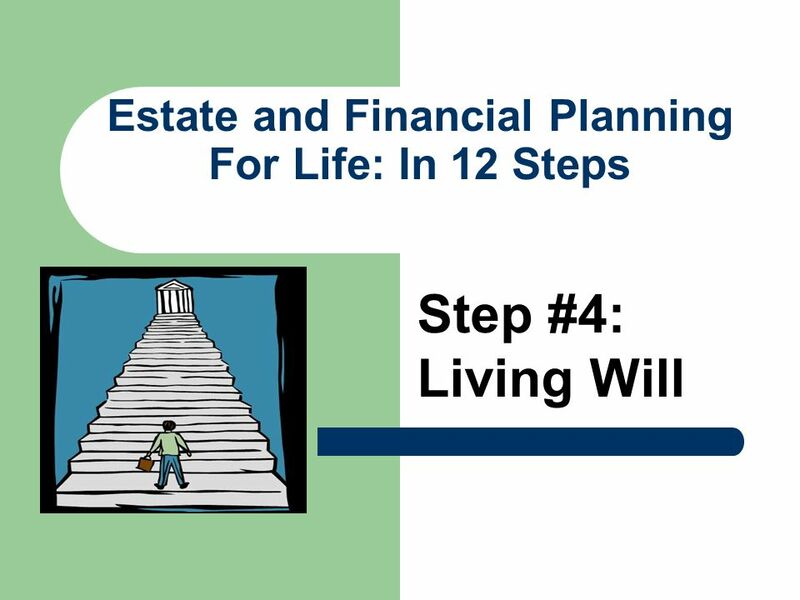 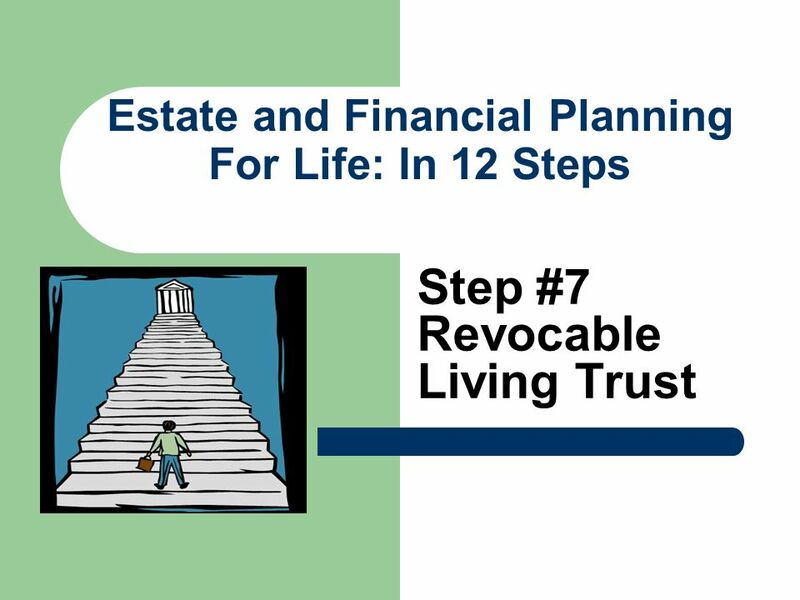 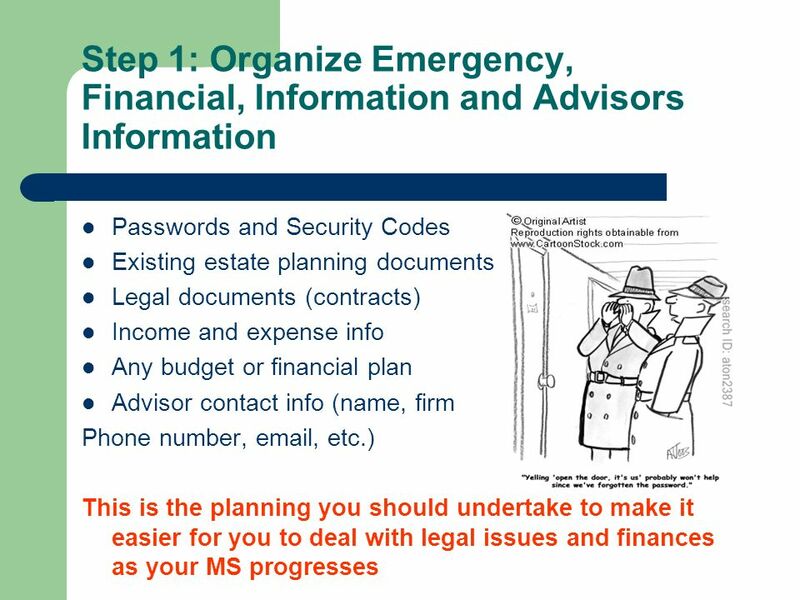 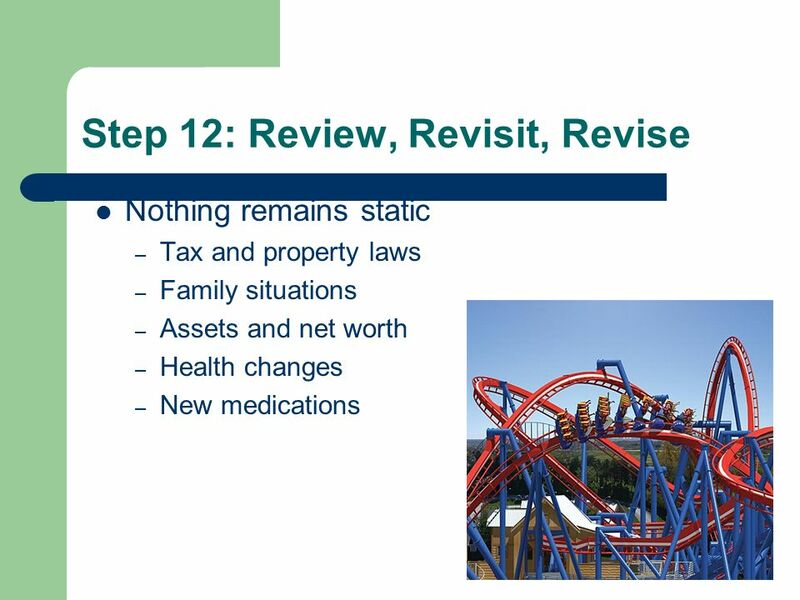 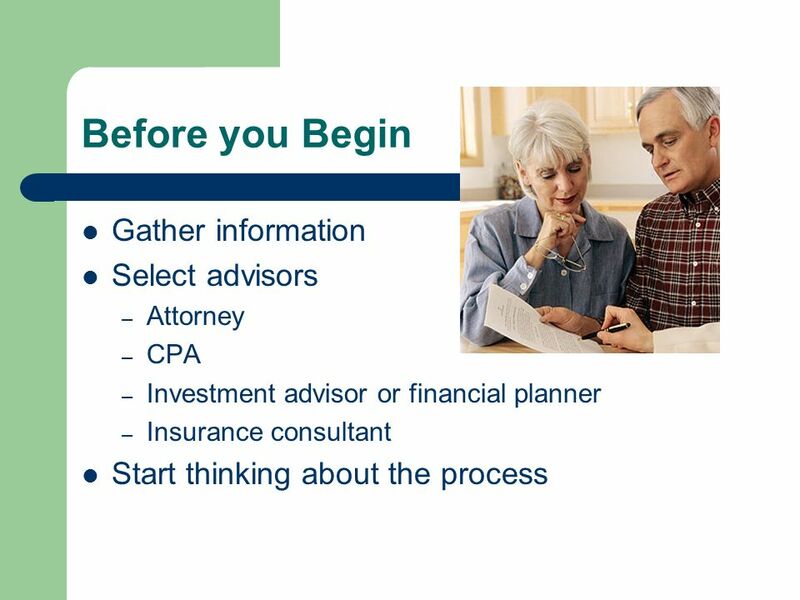 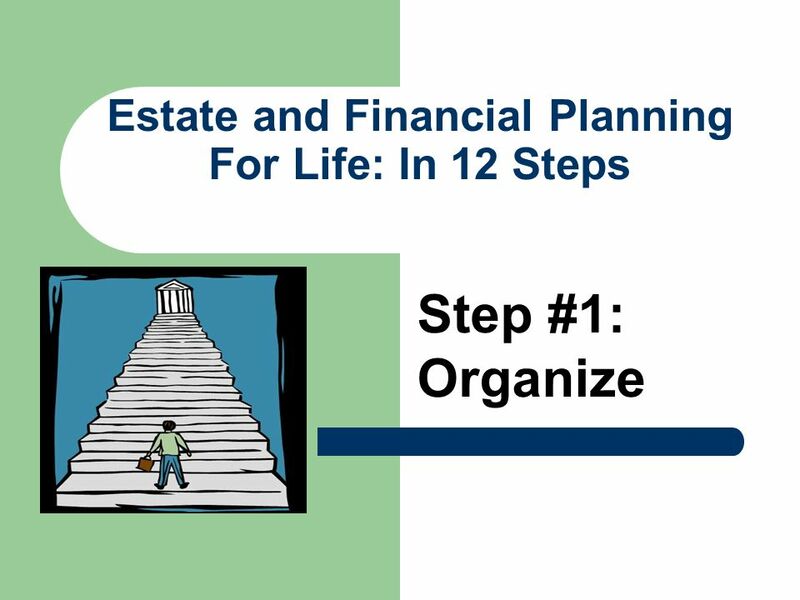 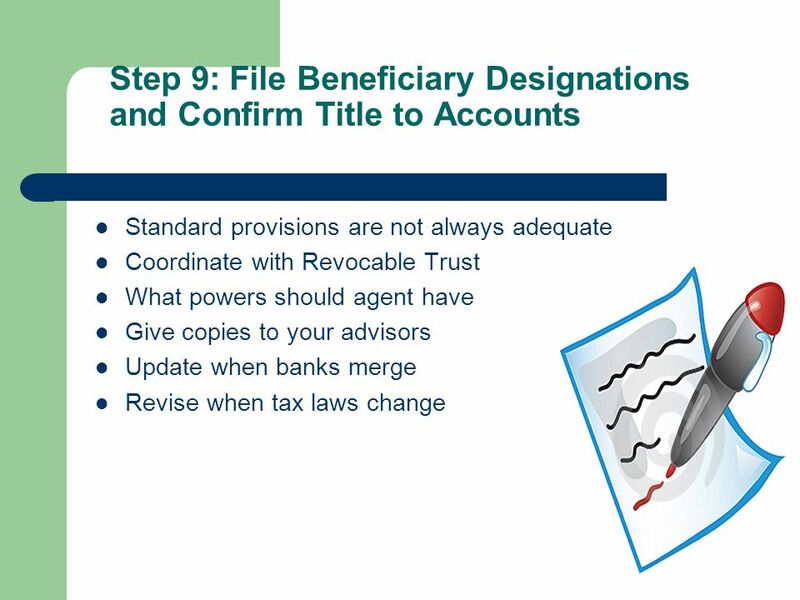 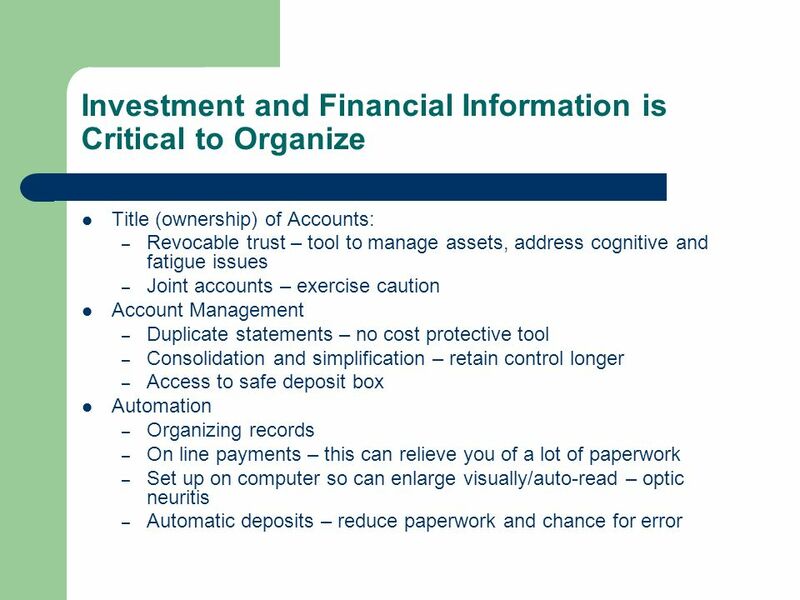 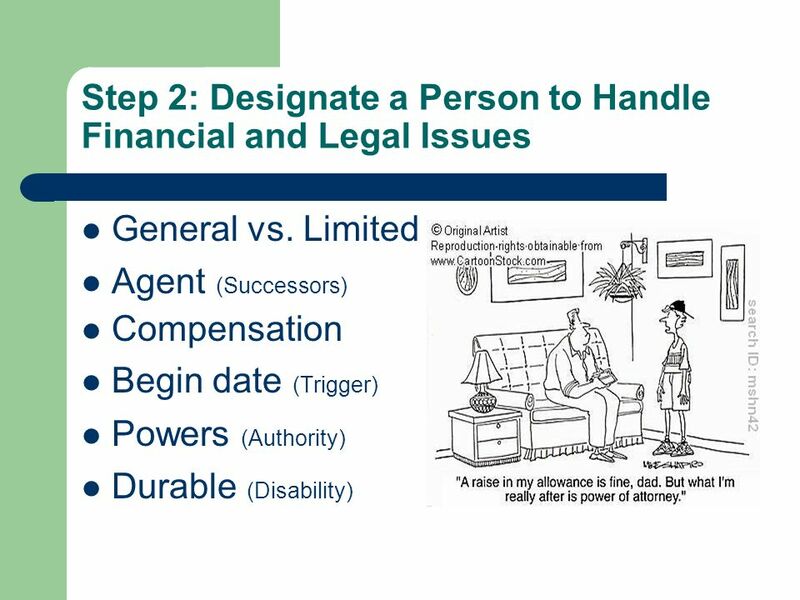 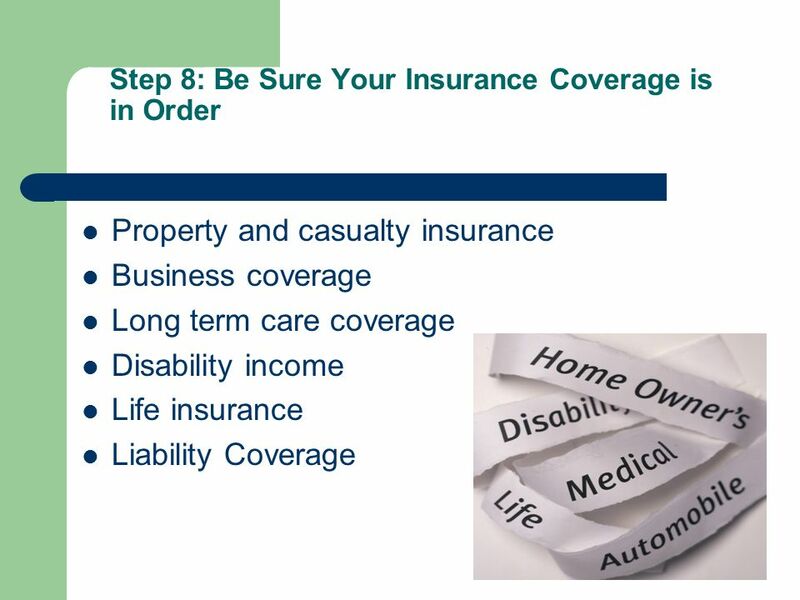 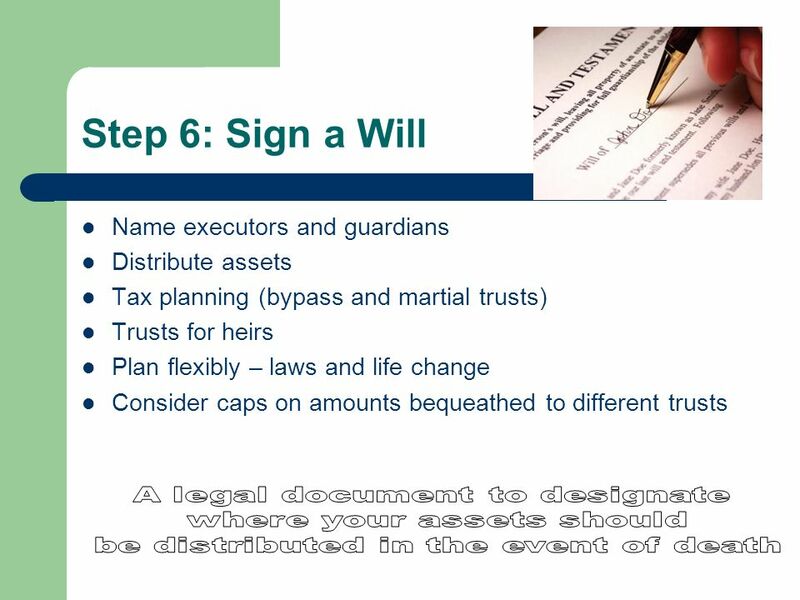 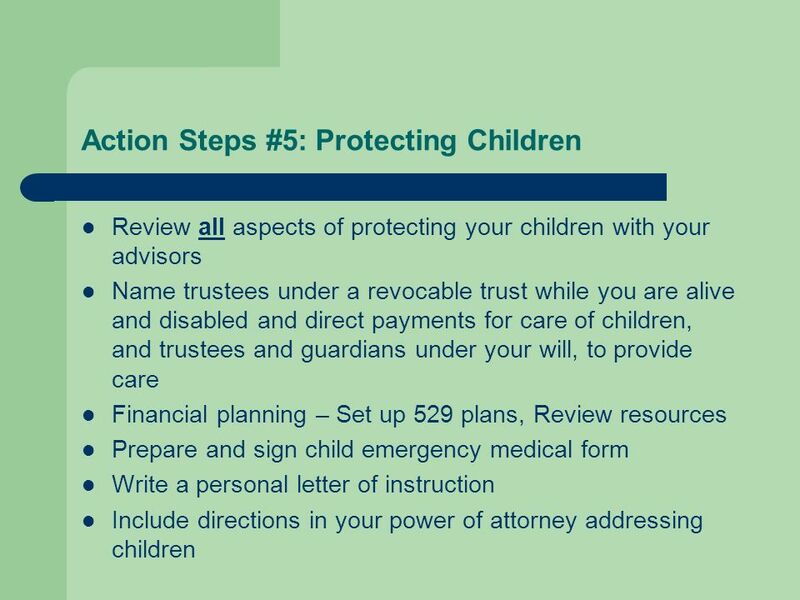 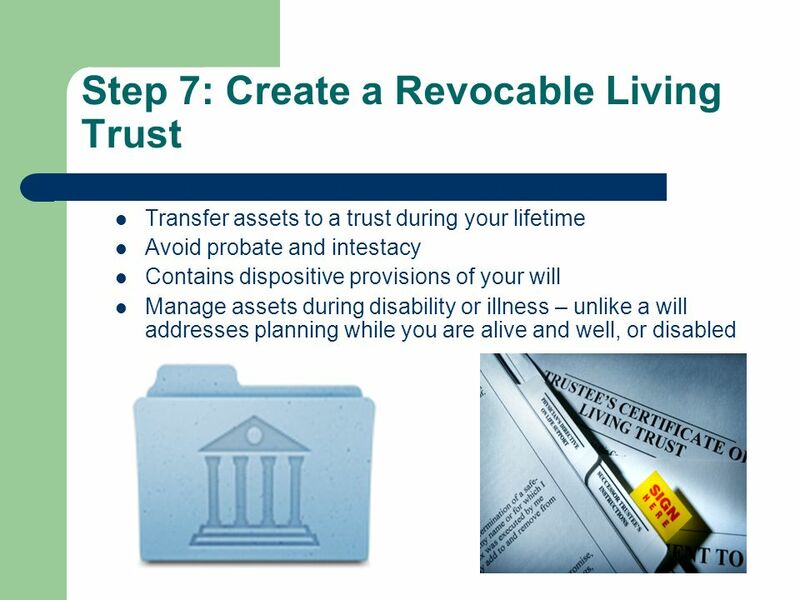 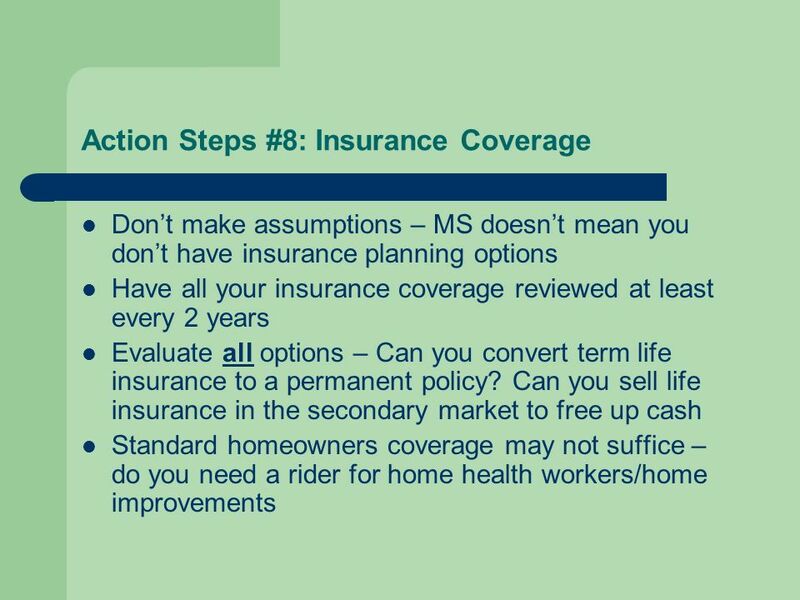 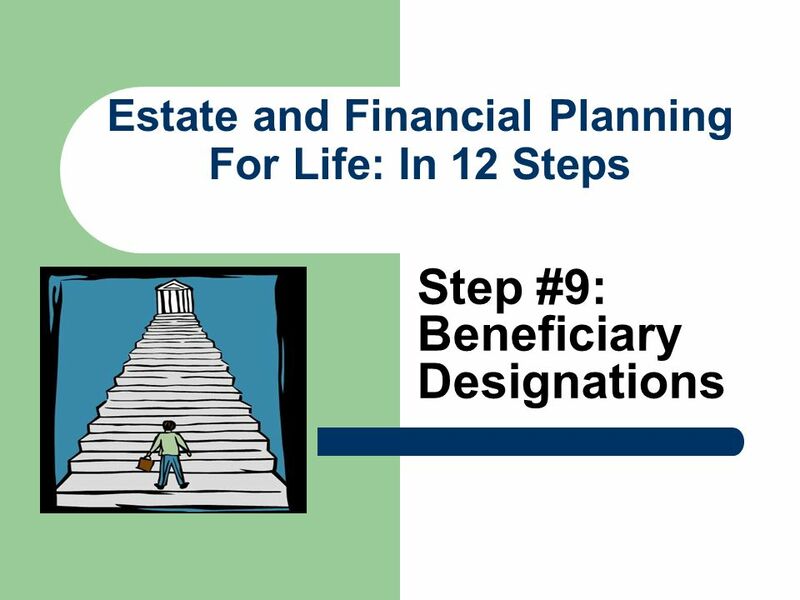 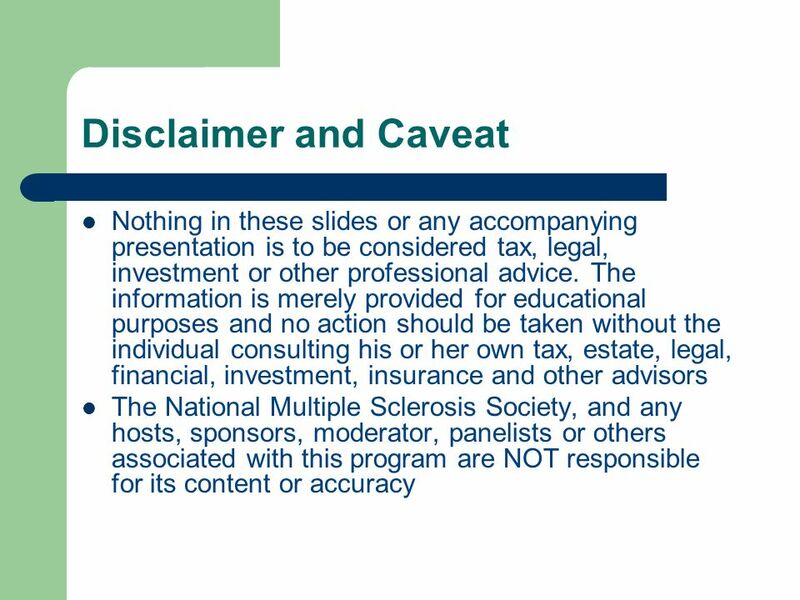 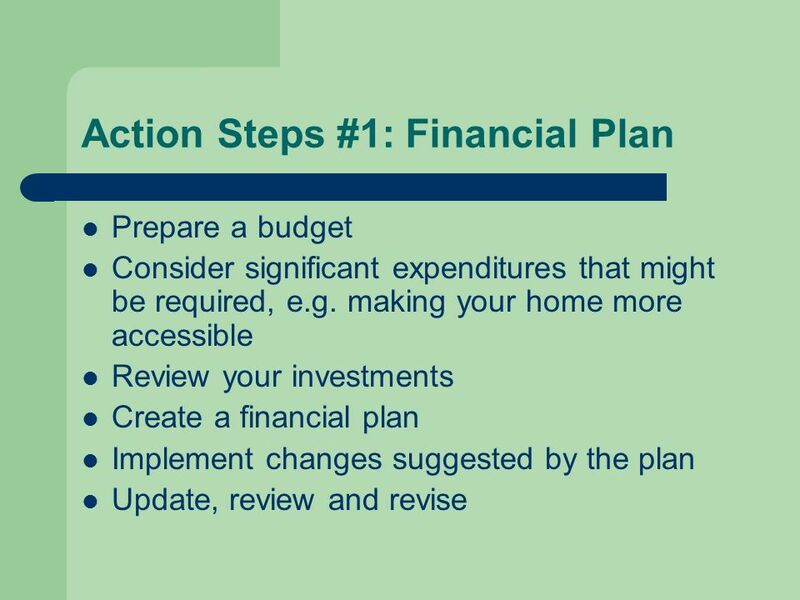 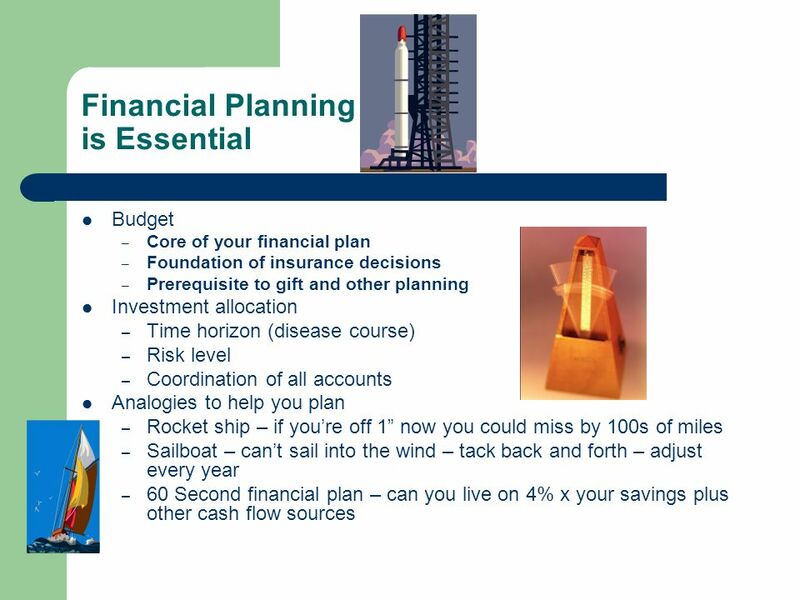 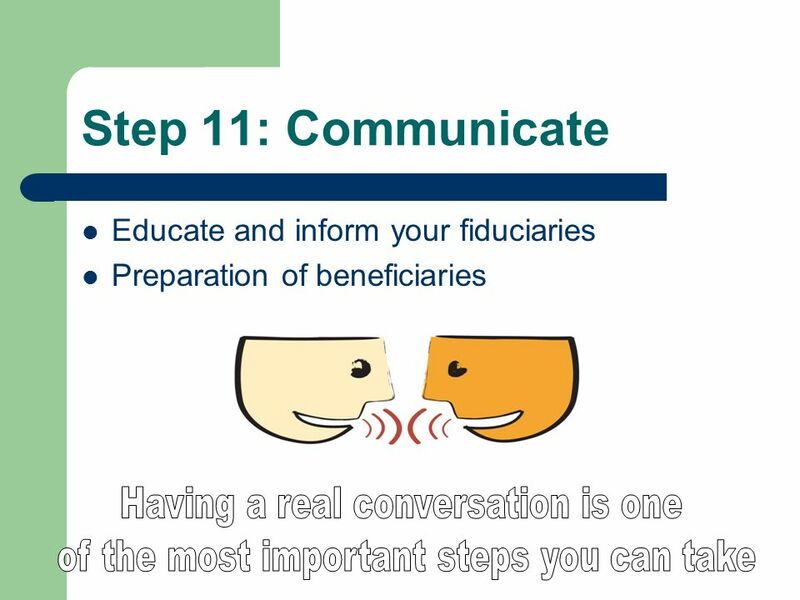 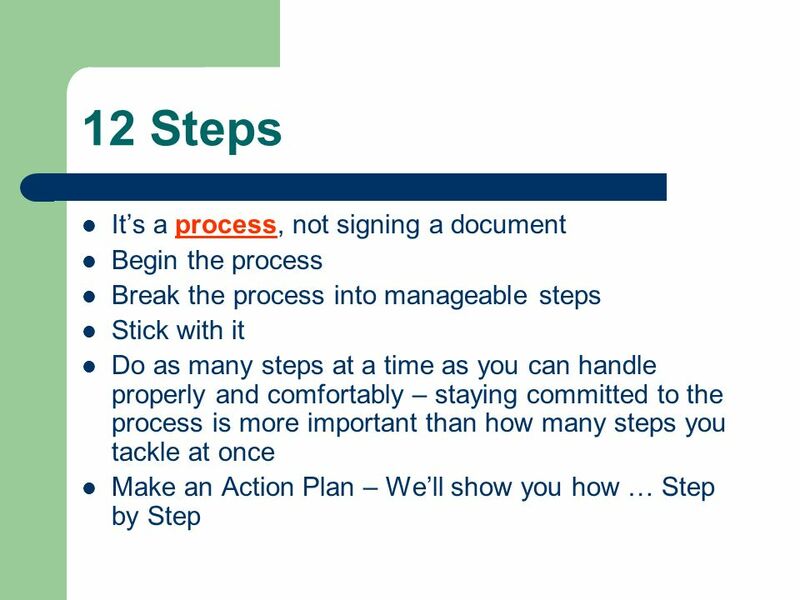 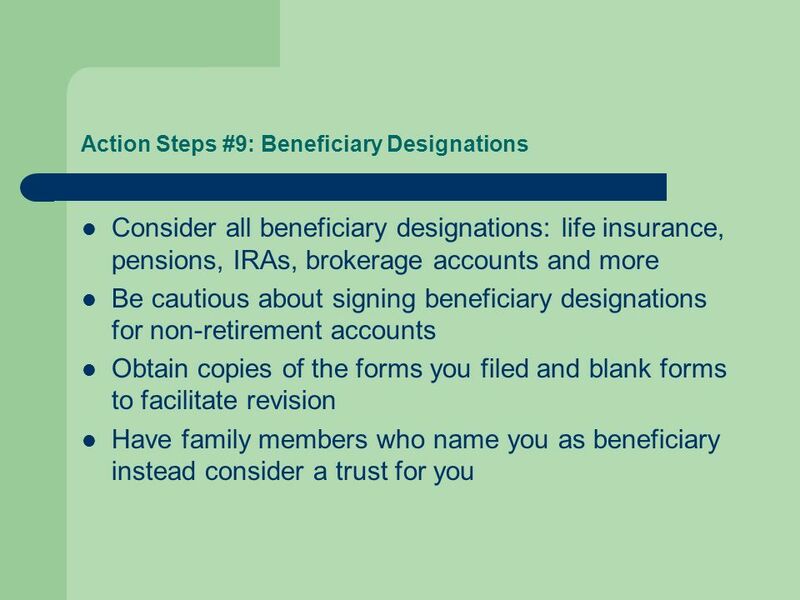 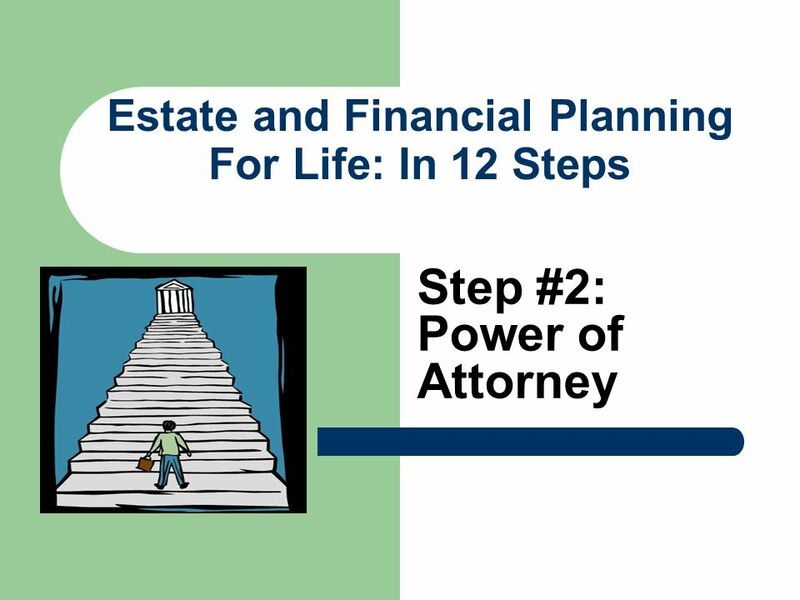 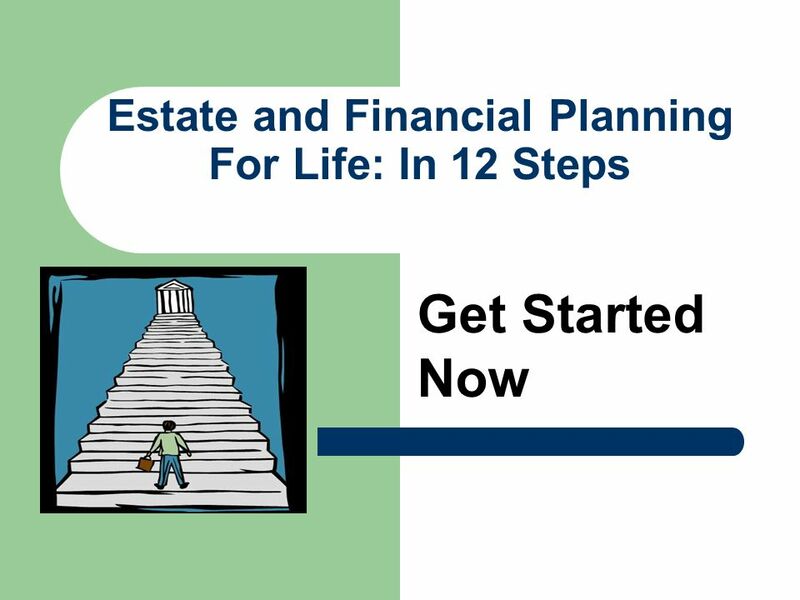 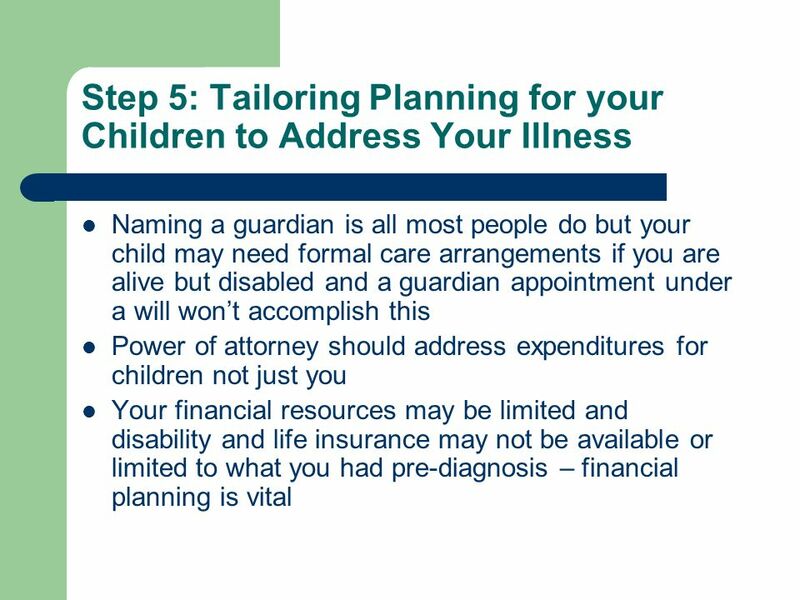 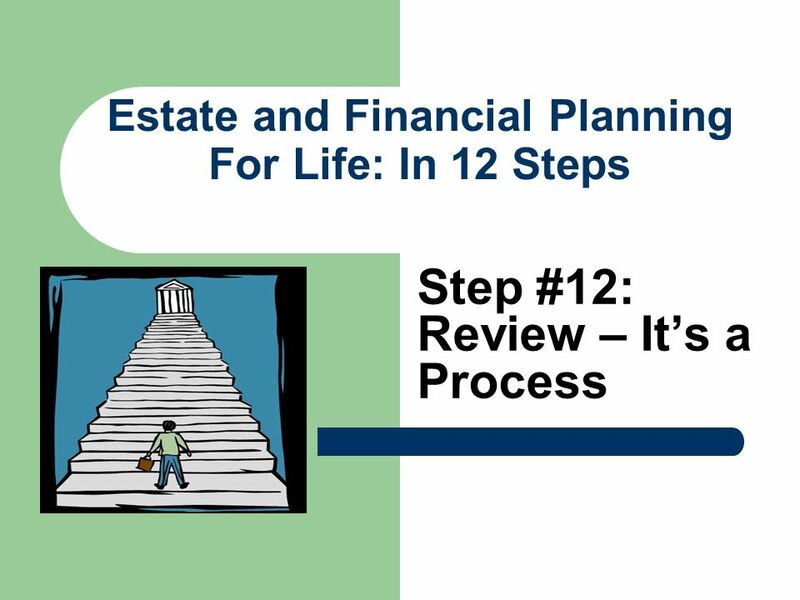 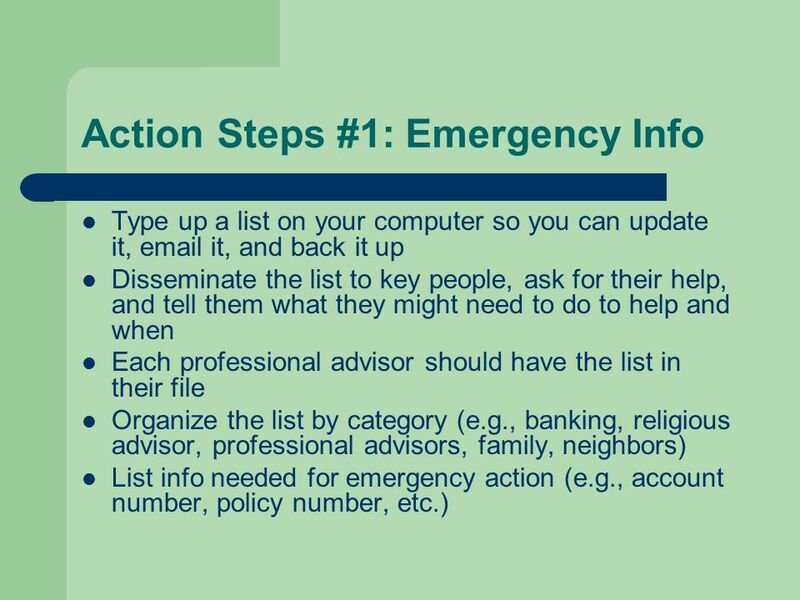 Download ppt "Estate and Financial Planning For Life: In 12 Steps"
Powers of Attorney – What they Are and What you Need to Know By: Martin M. Shenkman, CPA, MBA, PFS, AEP, JD. 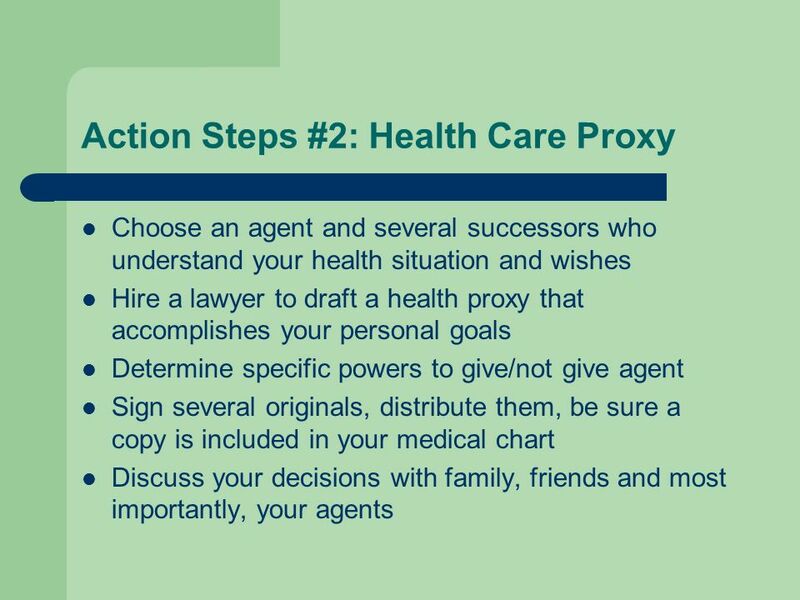 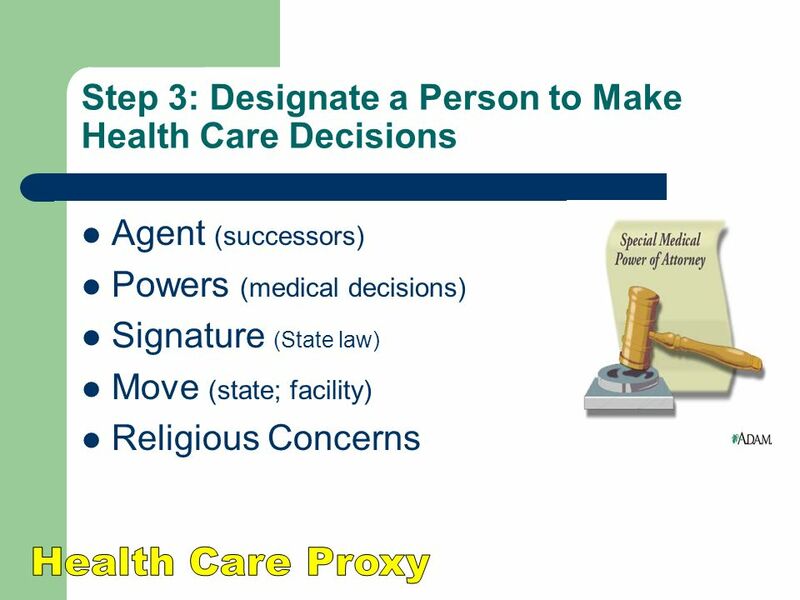 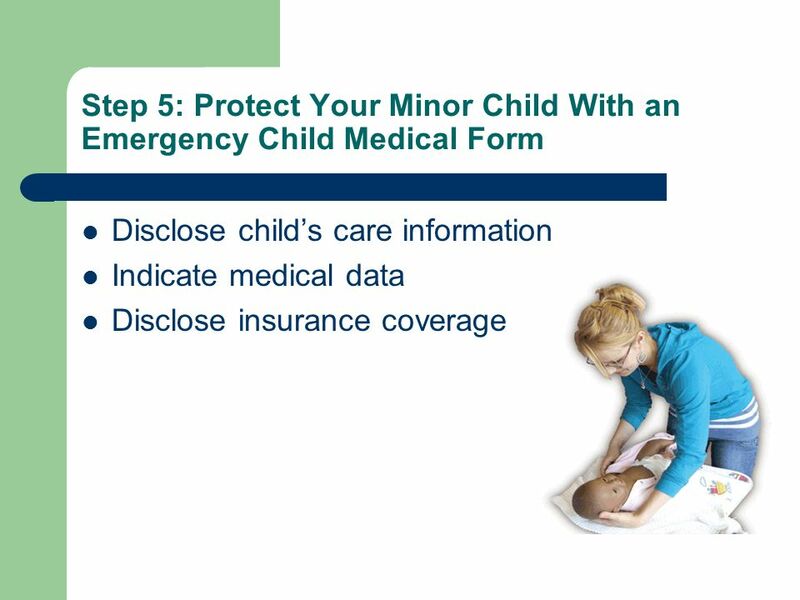 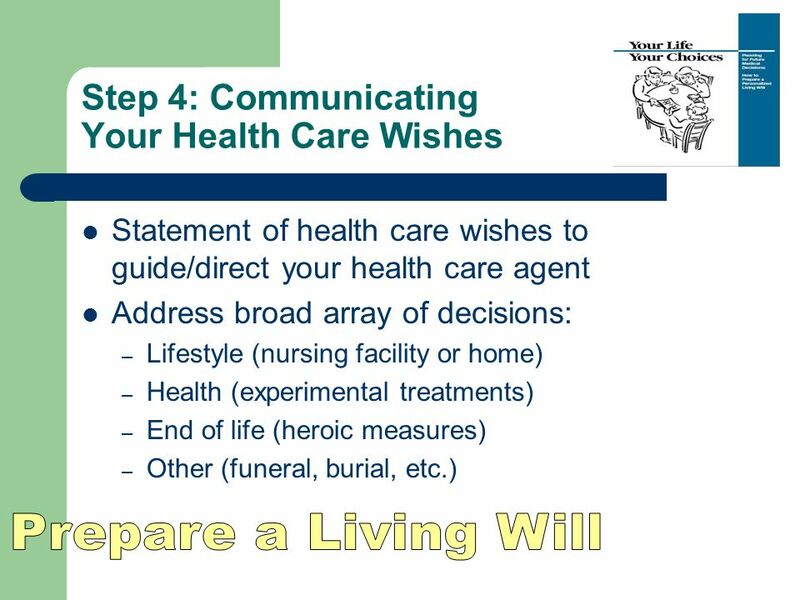 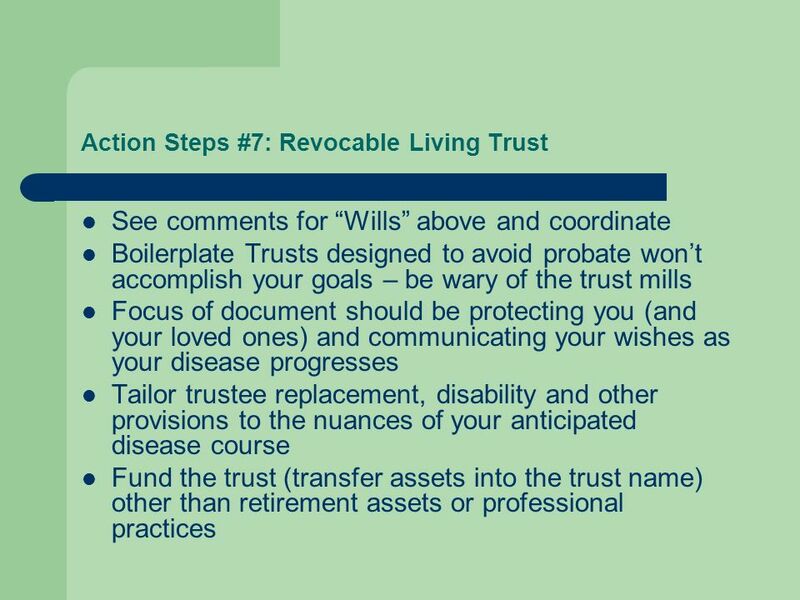 Living Wills, Health Proxies: Vital Documents for Everyone Tips for Chronic Illness and RVers By: Martin M. Shenkman, CPA, MBA, PFS, AEP, JD. 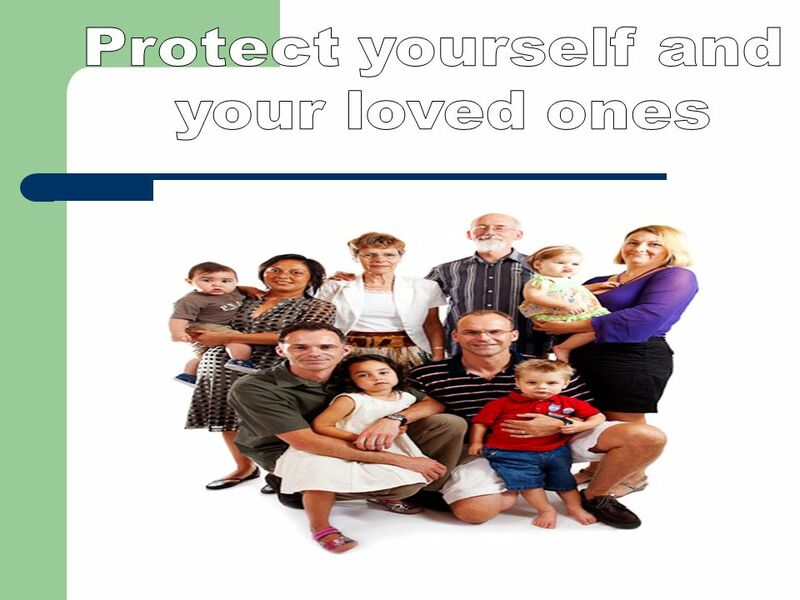 Practical Planning To Protect Yourself and Your Loved Ones With Tips for RVers By: Martin M. Shenkman, CPA, MBA, PFS, AEP, JD. 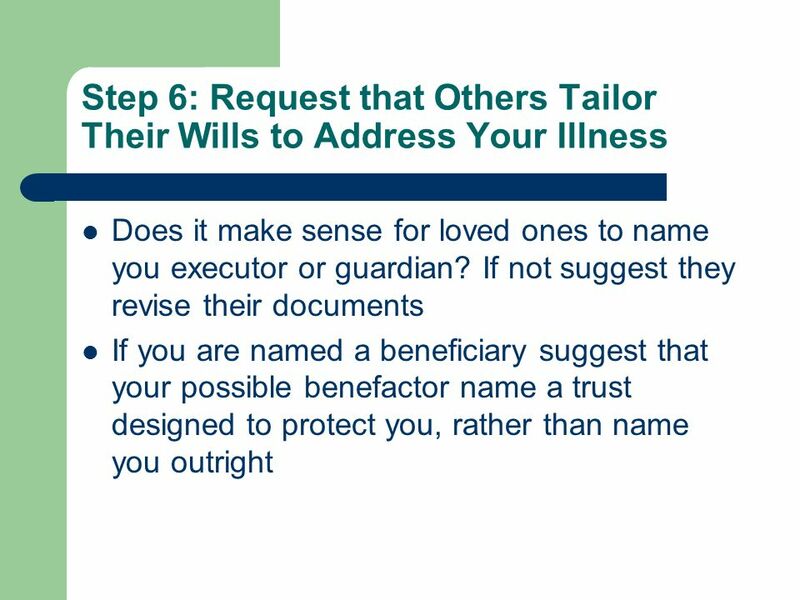 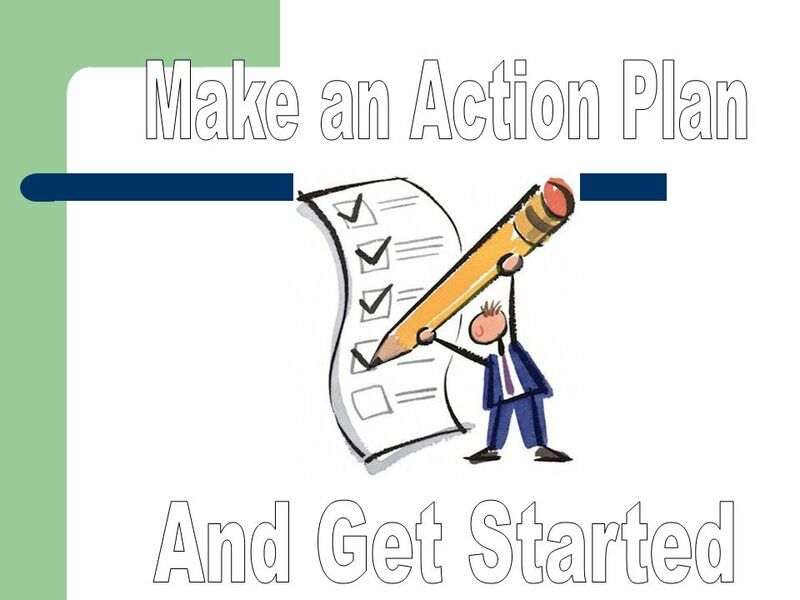 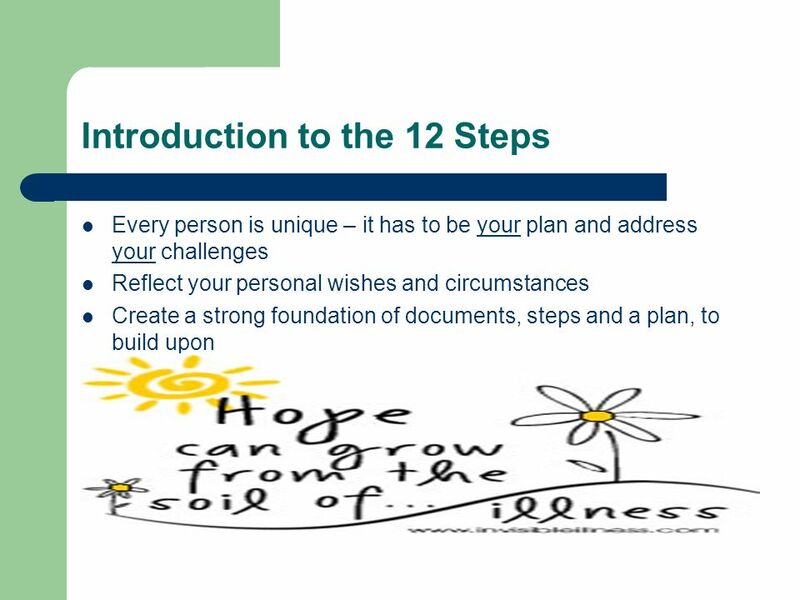 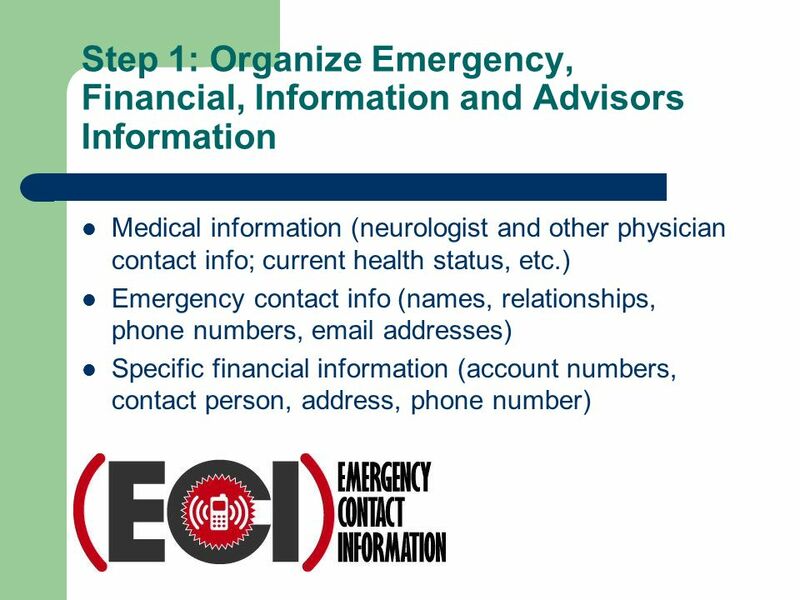 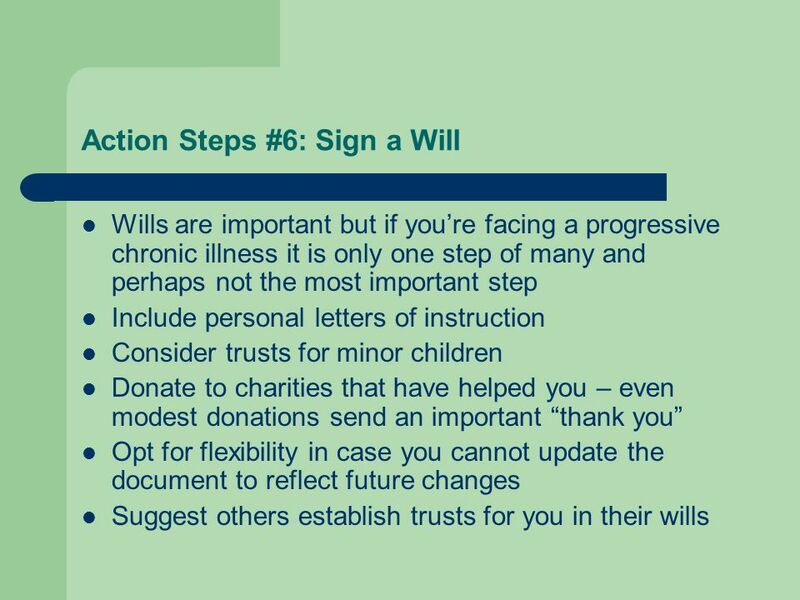 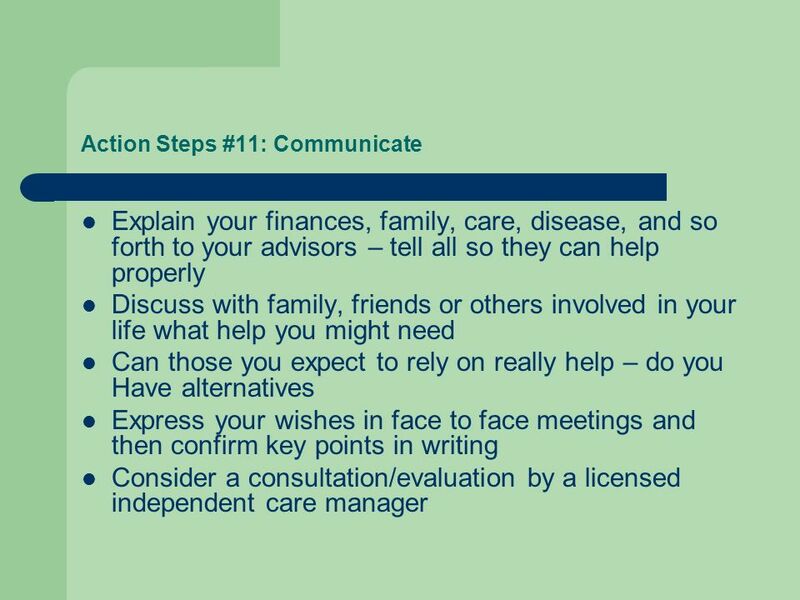 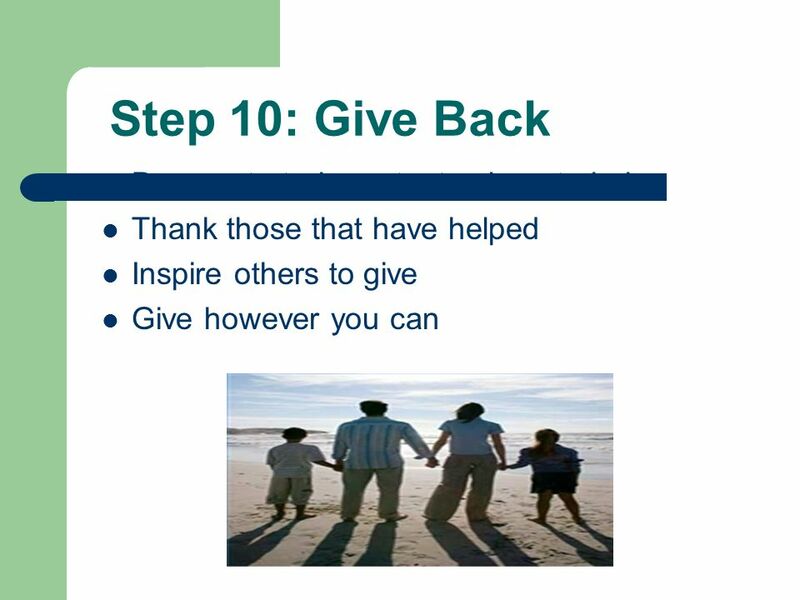 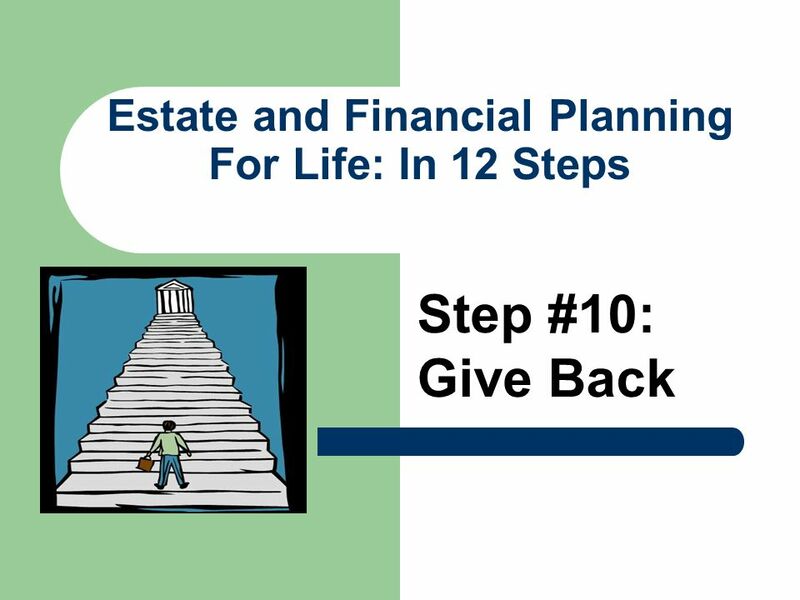 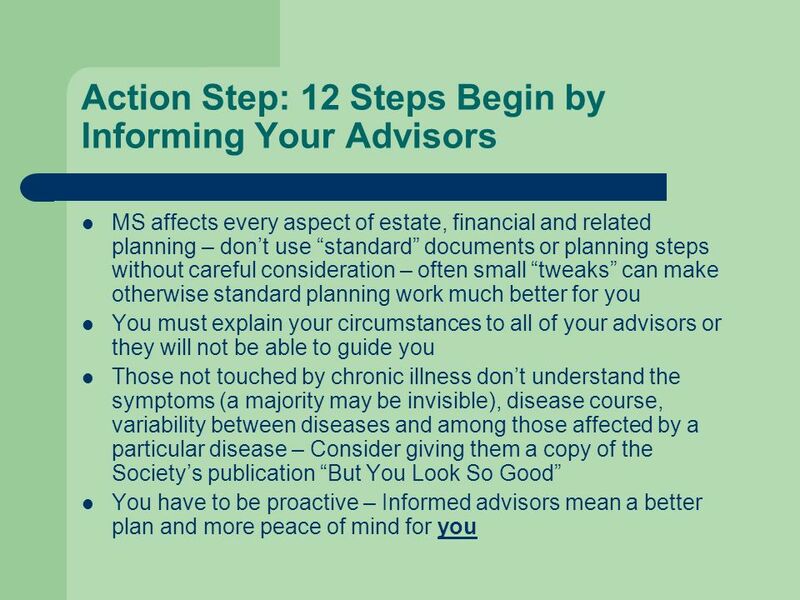 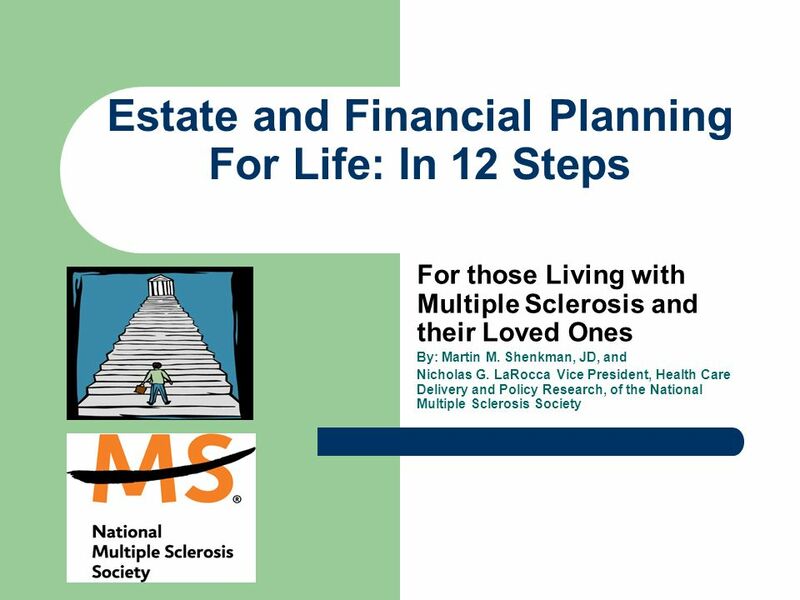 Estate and Financial Planning For Life: In 12 Steps ###NEED MJFF LOGO#### For those Living with Parkinson's disease and their Loved Ones By: Martin M.
With Consideration for Those Living With Chronic Illness By: Martin M. Shenkman, CPA, MBA, PFS, AEP, JD. 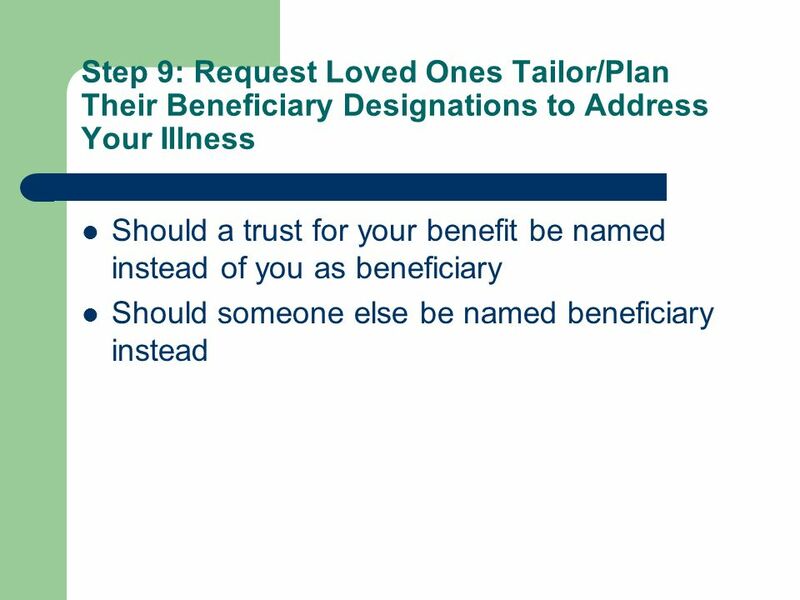 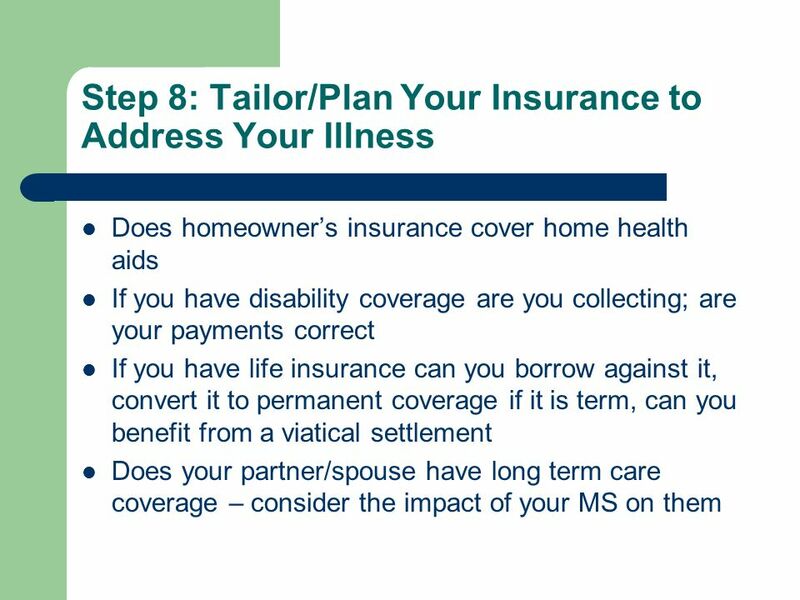 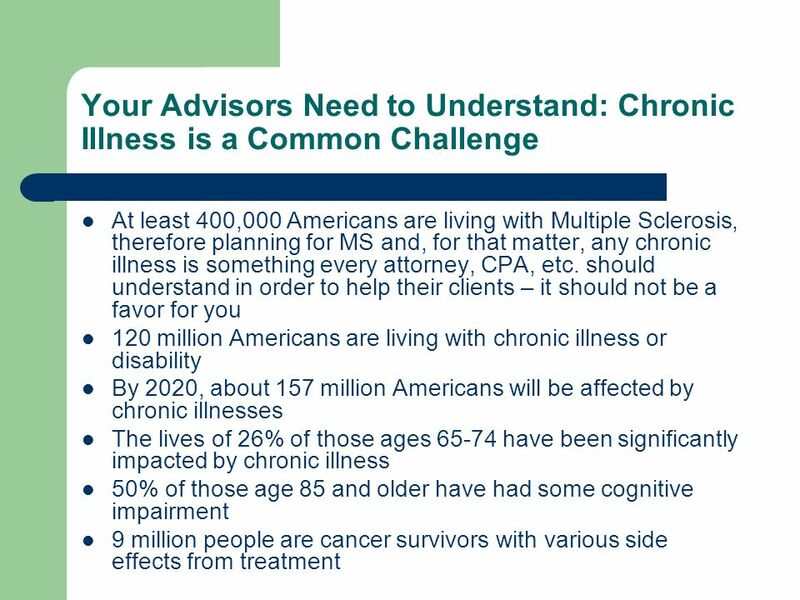 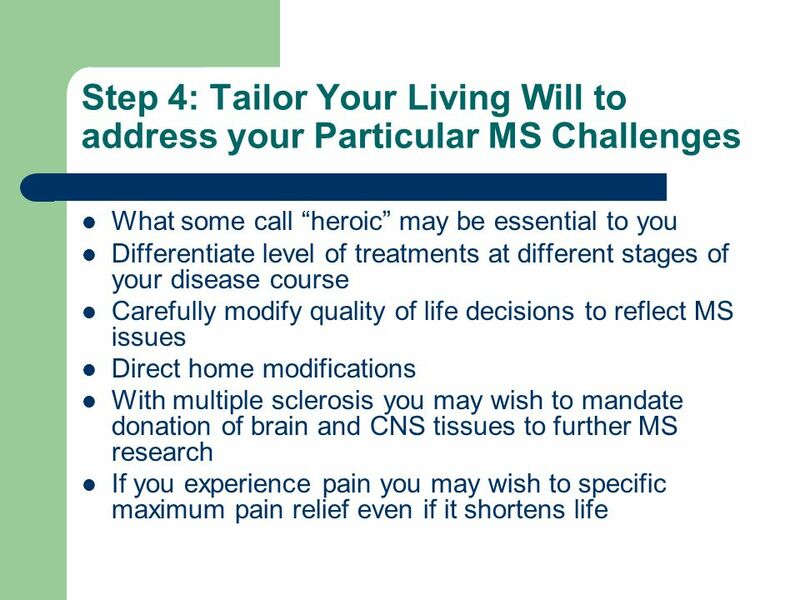 With Special Steps for Those Living With Chronic Illness By: Martin M. Shenkman, CPA, MBA, PFS, AEP, JD. 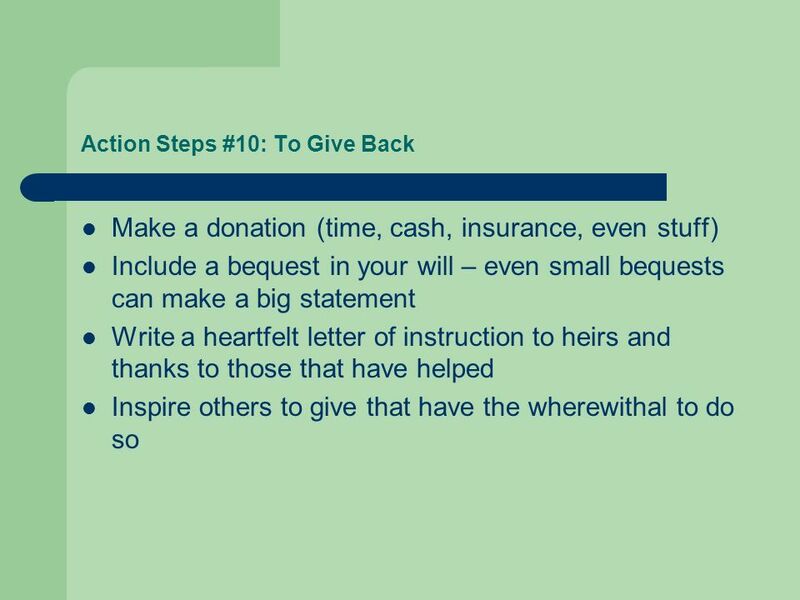 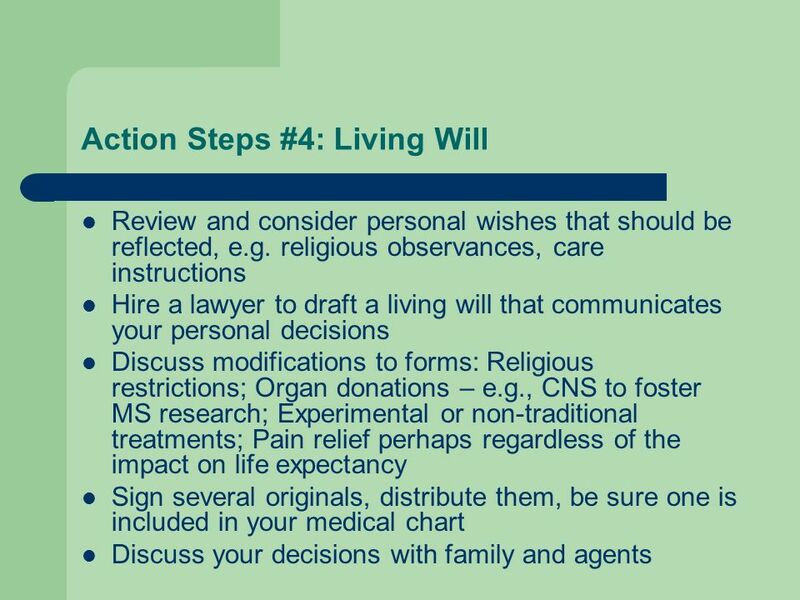 Presentation on Bahá’í Wills Reasons to write a Will Spiritual contents of Will Other ways of leaving property Bahá’í Burial Instructions What to bring.